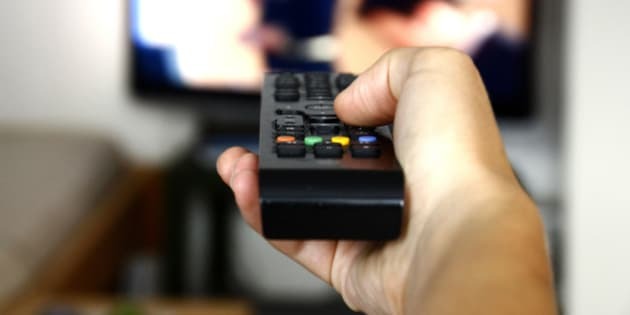 TORONTO - Rogers is preparing to launch an online streaming service in the coming months that would compete with Netflix, according to a report in the online trade magazine Cartt.ca. Industry sources suggest the service would more closely resemble Hulu Plus, which offers consumers in the U.S. digital access to new TV shows for a monthly fee, said Cartt.ca editor-in-chief Greg O'Brien. Rogers has spent more than $100 million on content deals to build a robust catalogue of TV shows and movies that subscribers would be able to stream on demand, said O'Brien, who added that his sources did not know how Rogers intends to price the product. "From what I understand, $100 million buys them quite a bit," said O'Brien. "And what it does is it keeps those TV titles and any film titles that they might be able to get away from Netflix in Canada, so it makes the Netflix library weaker." A spokeswoman for Rogers would not comment on the Cartt.ca story and would only say: "As previously reported, Rogers is looking at opportunities to deliver a (streaming) service. There are no additional details at this time." Rogers has stated publicly in the past that it takes so-called "cord cutting" seriously. Cord cutting is when consumers stop paying for a traditional television plan and instead make do with streamed content, tap into free over-the-air signals, or watch DVDs and Blu-rays. "We're kind of in the beginning of what we think is a major transformational stage in the TV world," said David Purdy, senior vice president of content for Rogers Communications, in an interview with The Canadian Press last June, "so we have a ton of questions and we're doing a lot of research these days." In November, the Convergence Consulting Group estimated about 400,000 Canadian TV subscribers out of 11.8 million have cut the cord since 2011, which is about 3.5 per cent of the market. Other industry buzzwords are "cord shavers," referring to consumers who have cut back on their TV packages because they're spending a lot of time streaming digital content, and "cord nevers," who are typically younger consumers who have never paid for a TV plan and perhaps never will. "I definitely believe that if we don't evolve our products and services — the way we have been and are planning to continue to do so — that 'cord nevers' are a very real risk. There's 12.7 per cent of Canadians that don't subscribe to a pay service today and not quite half of that comes from people who have never subscribed to pay television," Purdy said. Rogers isn't alone in recognizing that the breadth of streaming content available online — which is most often ad-supported but free — is a threat that can't be ignored, O'Brien said. "Rogers can see the writing on the wall, as anyone in the media industry can, if you're going to have your business cannibalized you better be the one doing it," he said. "Cable might be the big dog right now but it won't be forever, so you're going to see this is just the way it's going and everyone can see it's going that way. It might look like they're cannibalizing their own business, and in a way they are, but if they don't, someone's going to do it for them."